It never ceases to amaze me how versatile picture books are. They can be pure fun and entertainment, they can teach facts and figures, they can promote empathy and understanding, they can cover the most complex of topics in a method that young and older children can understand. They span age ranges and abilities and they can, and often do, elicit an incredibly powerful, emotional response. 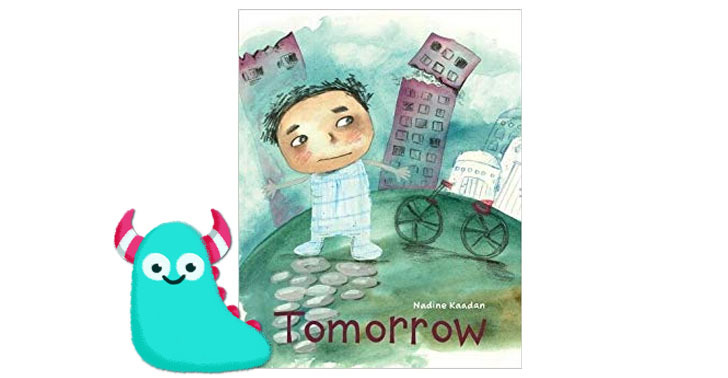 Today I’m taking a peak at one story that does exactly that:- Tomorrow by Nadine Kaadan and Lantana Publishing. 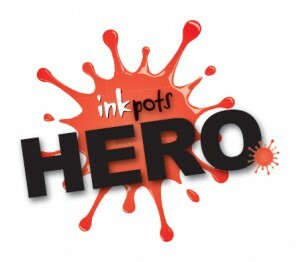 I’ve featured Lantana’s books a few times now on Book Monsters. 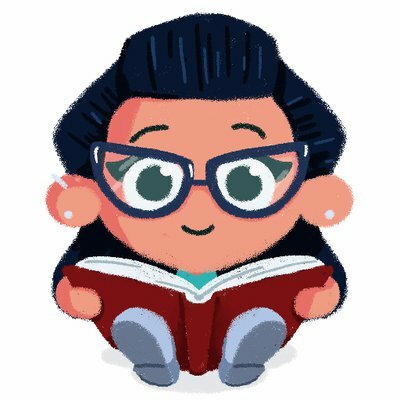 They offer diversity, they help children see themselves in books, they represent every child, and Tomorrow is a perfect example of this. We meet Yazan. Right from the off we see that he is sad, sitting in a dark and empty room. He is no longer able to go out and play. This is war. Or more specifically, war from a child’s perspective. It’s confusing. Everything and everyone is different, more subdued, more fearful, and life, more restricted, but Yazan doesn’t understand why. The incredibly sad part of this story, is that clearly Yazan doesn’t know what’s going on and therefore he doesn’t understand it. 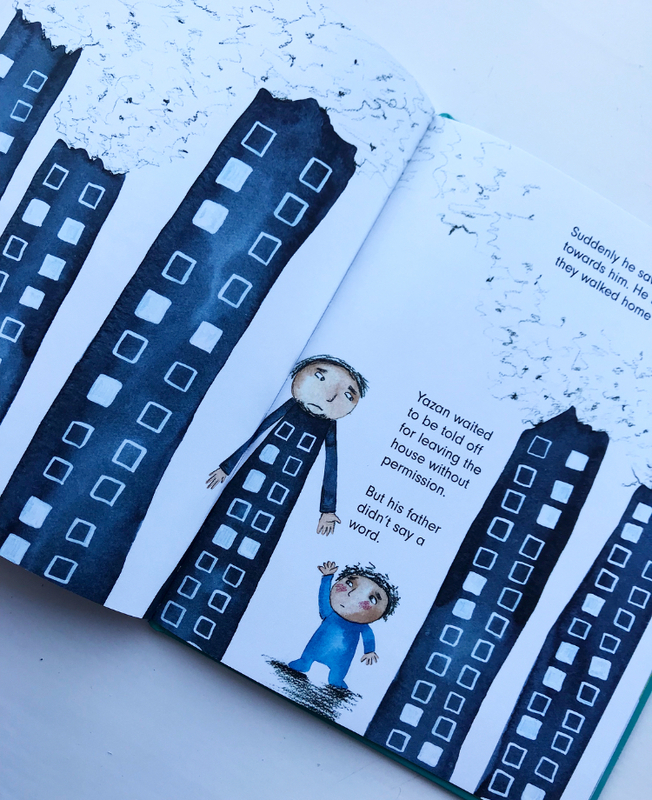 We so often keep children in the dark about upsetting matters with the feeling that we’re protecting them, but this can make life more difficult for young children. Tomorrow is one of the few books I have come across which demonstrates this confusion so clearly. Yazan, bored by his life indoors, escapes and runs off to the park he loved to play in, sending his parents into an overwhelming panic until they eventually find him. As a result, once they all return home safely, they sit Yazan down and finally explain to him exactly what is going on and the reasons why he can’t go out and play. It’s such an important lesson to teach parents, that informing our children of what’s happening, even if it’s scary or upsetting, is crucial in helping them understand and thus come to terms with a change in their lives. 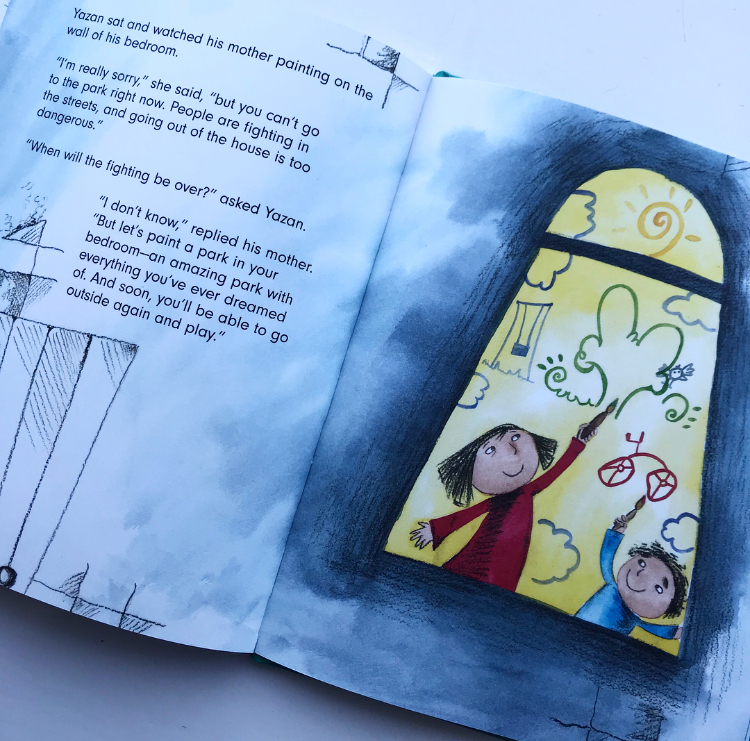 That is just one aspect of this beautifully written book that’s so important, but Tomorrow also addresses themes of war, it teaches children to empathise with a life they may never experience themselves and therefore will struggle to comprehend without a story such as this. There’s a huge amount of classroom discussion that could be teased out of this wonderful story. 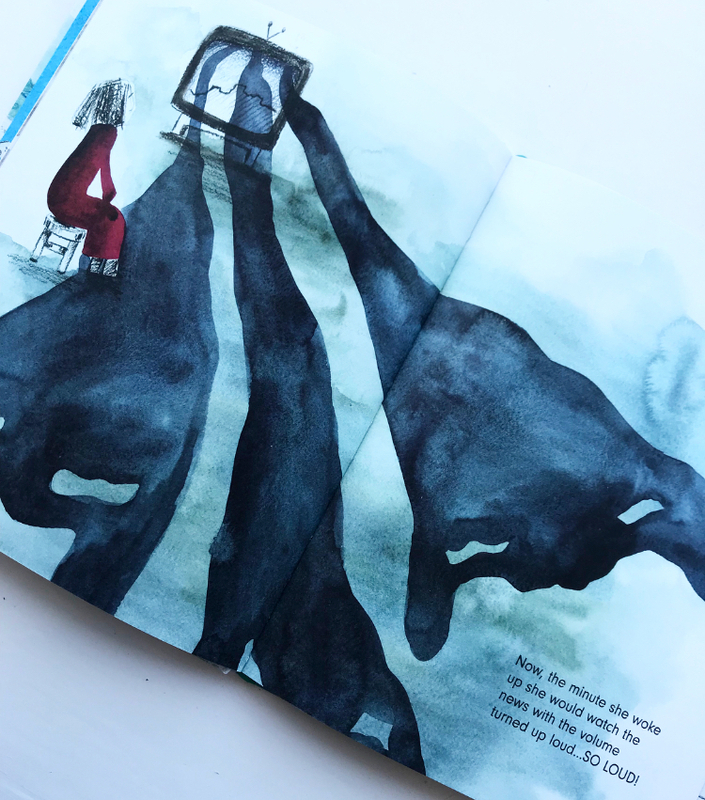 On the surface it’s quite simple, yet there are layers of information and such potential through the themes, words and illustrations. I must of course give specific mention to Nadine’s illustrations in this book. In the first instance they are incredibly atmospheric, with dark shadows, twisted, unusual angles and a limited colour palette. Some of the images are quite surreal at times, which gives the perfect talking point for older children. And Yazan, gorgeous Yazan, is perfectly represented with a permanently confused dear expression which is endearing and heartbreaking together. 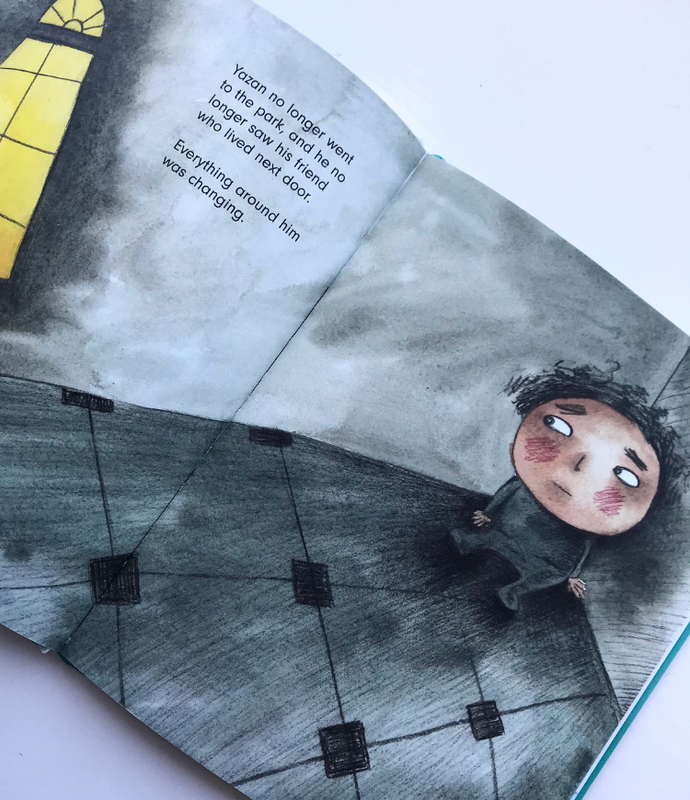 And finally, at the end, there are elements of joy and hope brought into the story through Yazan and his mother’s vibrant and happy wall paintings. It shows the two coming together and finding strength in their dreams and wishes and learning to make the best of their upsetting and frightening new situation. It’s very beautifully done. Having experienced, first hand, war in Syria, Nadine has been able to carry across an immense amount of feeling and emotion into this story. It’s clear that she comes from a place of understanding. At the end of the book she includes a short letter which explains the meaning behind the content of the story and also the title. I’ll leave you to read that yourself, because Nadine’s words explain it better than I ever could, but it’s a very important little section of the book and I urge parents and teachers not to skip past this part. Tomorrow is a story with incredible reach and a very important purpose. I can see this being used in schools from Reception right up to Y4/5. Encouraging creative writing, expressive and interpretive artwork and much discussion. It can develop empathy and compassion in young children. How would they feel if they couldn’t go out to play? Go to the park? Or see their friends? Freedom is very much something we can all take for granted at times, but right now, at this moment, in certain parts of the world, it is not an option for many children … this is their story. Tomorrow will be published and available online and from all good bookshops and libraries from the 16th August 2018.